Calling all mooncake lovers (like myself! ), Takashimaya Singapore is having mooncake fair till 12th September 2011. You might think what's so different with all those mooncakes on sale but they ARE different. You can find exotic varieties (think chestnut fillings, red dates fillings, Musang King durian fillings) as opposed to the common ones sold in K.L. Our favourites (more like Dear Hubby's favourite) are the alcoholic ones sold by Swissotel The Stamford. 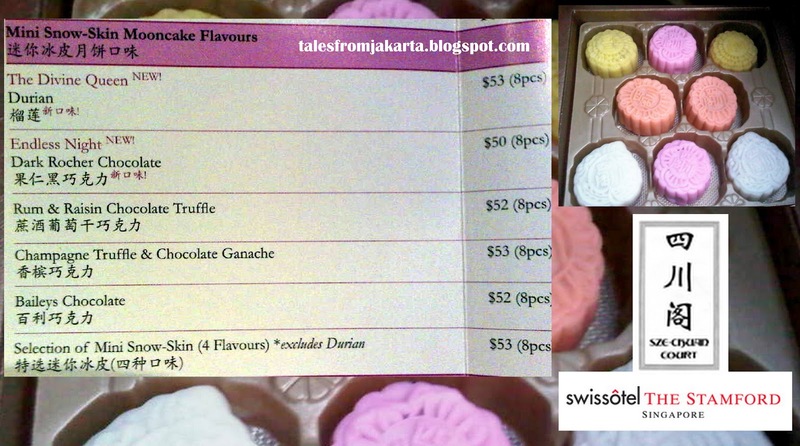 I personally find the Rum & Raisin Chocolate Truffle mooncake really good! Bitter sweet with a strong taste of rum.